Plenty of space for your wishes! The company has several warehouses with a total area of approx. 2,500 m². 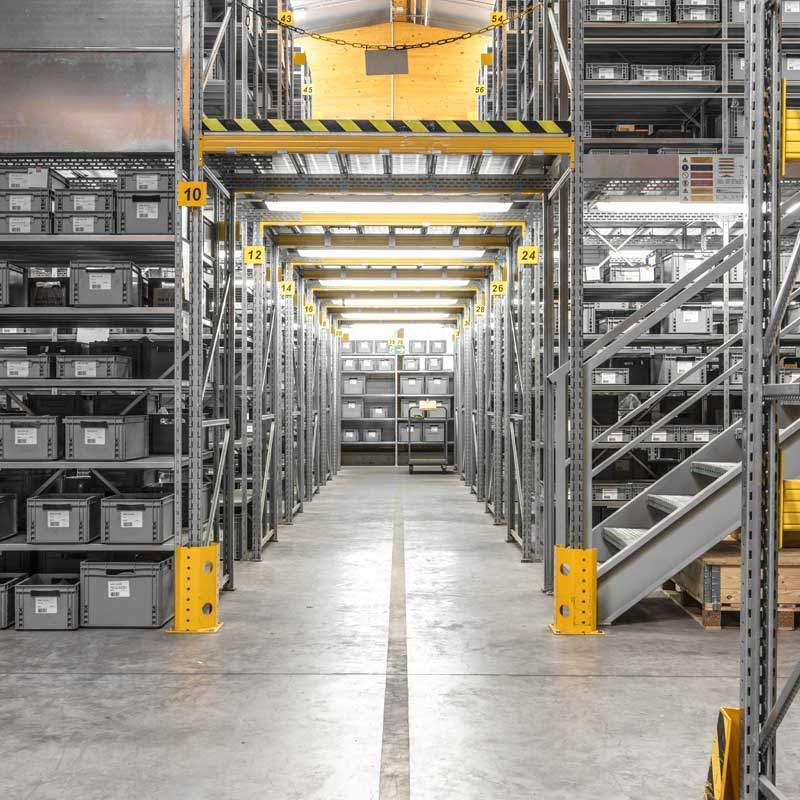 The storage of community goods on most of the area as well as non-community goods (42m²) in our own customs warehouse is possible. You can find our complete stock program for the main machines and auxiliary machines as well as injection accessories etc. here. Our 24/7 emergency service enables us to reach any destination in the world with stock goods at short notice. Our well-trained staff will of course pick and pack your orders in a transportable and carefully marked manner. Interim storage or order picking/shipping of collective orders can be ensured by the warehouse.